LoA_Win Varda in Resource Tycoon! 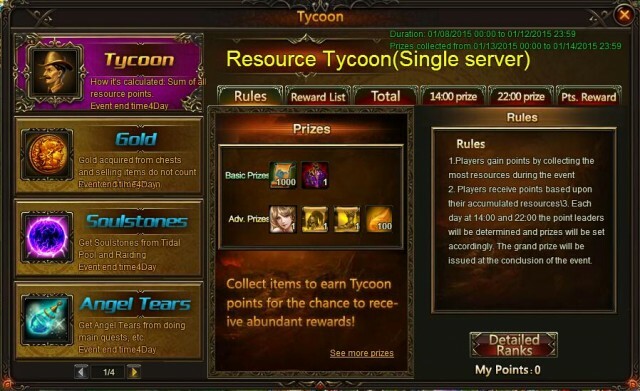 To make Resource Tycoon more wonderful and meet different needs of players in newly opened servers and those in previous servers, we potimize the prizes of it. The prizes will be different between servers opened within one month and other servers. Description: Collect the required resources to win Varda, and many other rare items! Description: You can u Varda, Crystal Reindder and Isolde to get many rare items! More exciting events are coming up through Jan. 8th to Jan. 12th. Check them out in the in-game How Events menu now!